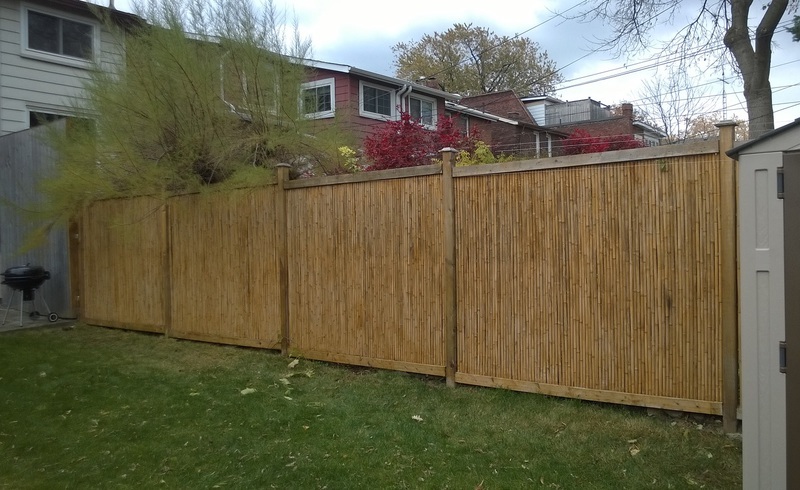 Buy Tonkin Bamboo Fence Rolls to fence off your backyard and screen off unsightly areas. We do delivery across Canada! Please call 647-708-3888 for a shiping estimate. 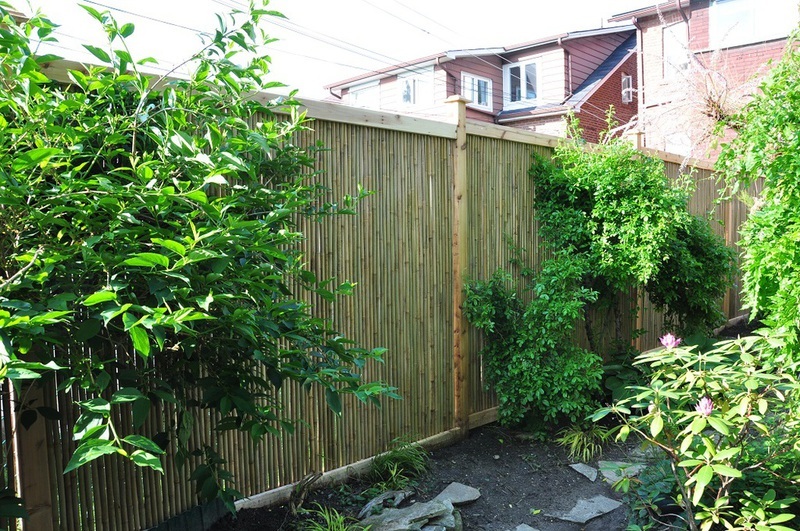 Add a unique, tropical twist to your backyard landscaping with bamboo fencing in a gorgeous, mottled Tonkin colour. 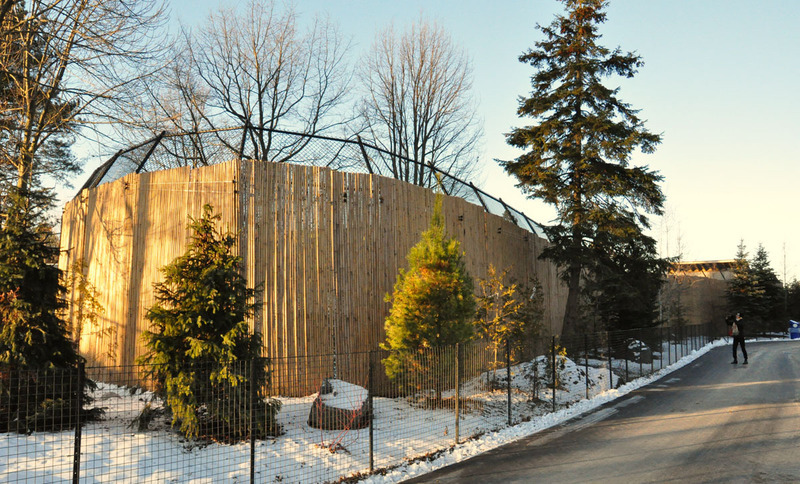 Our Tonkin panels come in two sizes: a standard 1''D x 6'H x 8'L panel and a skinnier 3/4''D x 6'H x 8'L. 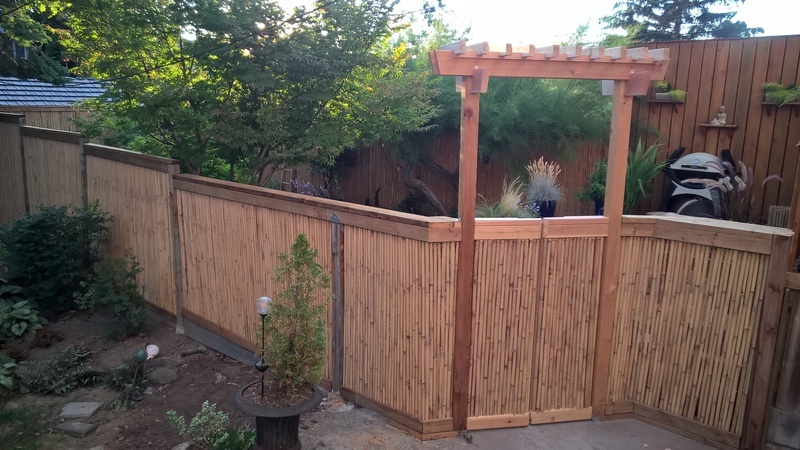 Tonkin is our most durable fencing because it is the densest bamboo, and the poles are especially straight and close together. 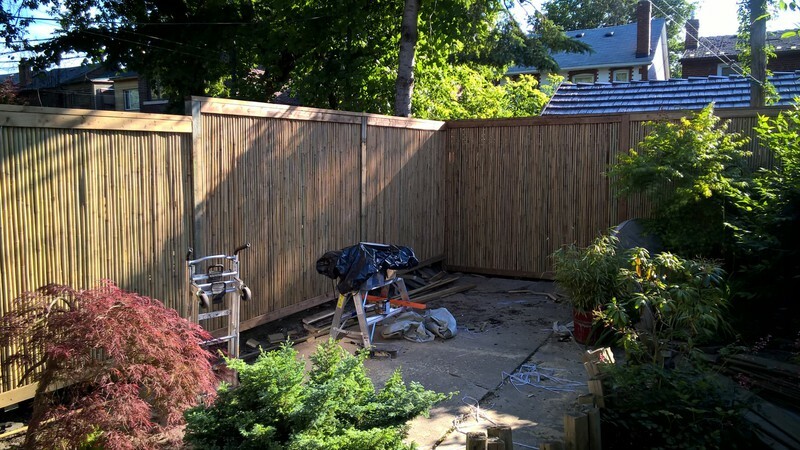 Panels can be tied together to walls, poles, and chain link or placed inside wood frames for easy DIY installations - no contractors required! Perfect for blocking off sections against nosey neighbours, covering up unsightly chain link fencing, or replacing traditional fencing. FAQ for installation, maintenance, and other questions! Tonkin Bamboo Fencing Roll in standard size - 3/4''D x 6'H x 6'L. Price is for in-store pick-up only. Please call or email for a delivery quote. 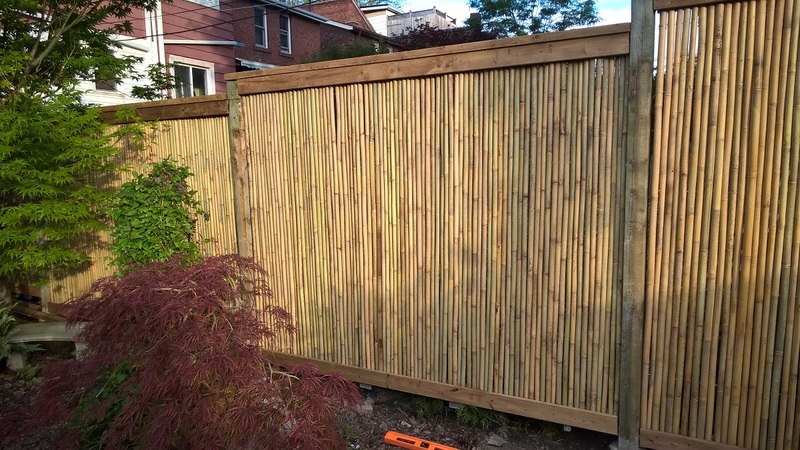 Buy Bamboo Fencing in Tonkin colour at our Toronto location. 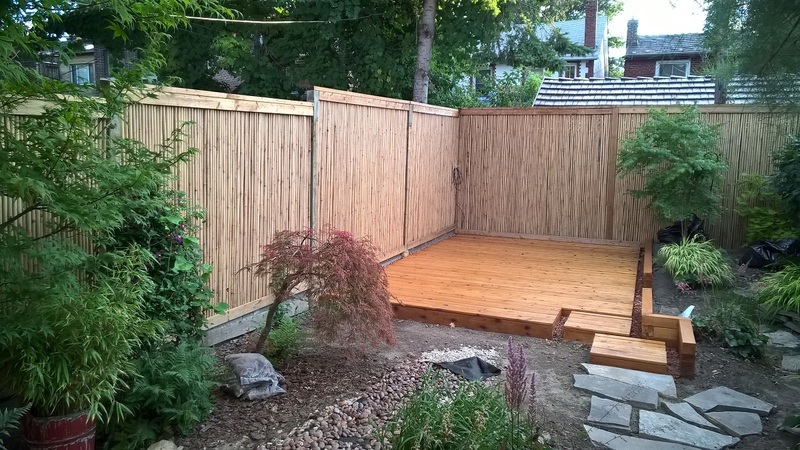 Aesthetic, durable, and easy to install bamboo fences perfect for privacy screens and covering chain link.